Late March warm days and a rain event at all elevations left solid mark (literally) in the Sawtooth Mountain snowpack. 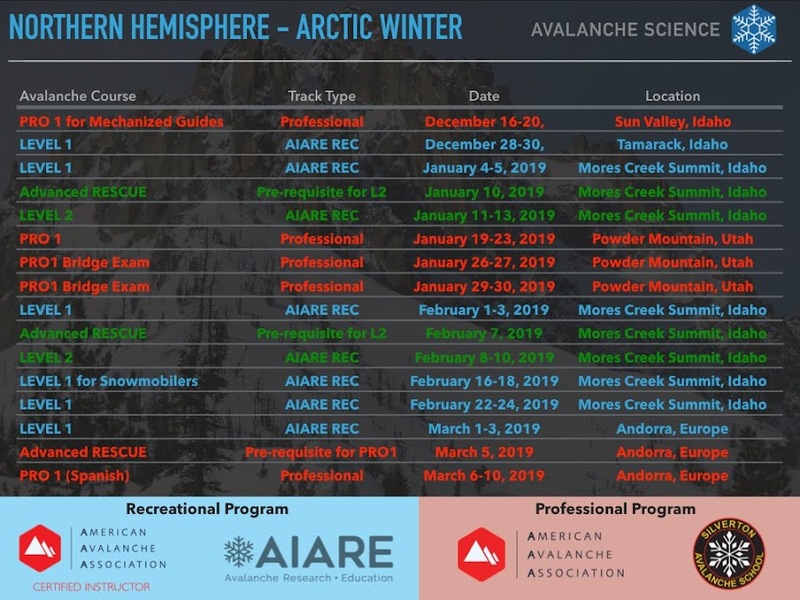 Not surprisingly we started loosing ski partners as the dates for our trip to Bench Hut approached. Skinning into the huts confirmed our fears, rain and sun crusts were everywhere. After arriving to the Hut we settle in for dinner and prayed for snow. Friday morning dawn with winter conditions - Yippee! - A small disturbance, not expected to do much, delivered the goods! Upper Bench Lake basin - 5th Lake Bowl. Fumbling around in the saddle between 5th Bench Lake and Monolith Valley. 5th Lake Bowl: New snow (dust on crust! ), with a rare window of visibility. The new snow depth varied from a 6 cms to as much 25 cms depending on elevations and wind effects. We had poor visibility most of the day, but skiing was FUN! Getting ready to ski "Surprise". After skiing the Surprise and Eagle runs, we were ready to enjoy great cooking and relax with friends. Dinner - with only 5 skiers, the Hut felt very spacious. Gary working magic in the kitchen. Bed time at Bench Hut. Saturday morning we toured over to "Buck Park" to the west, where a series of 800 feet long and wide ski runs were harvested by our party. The skiing was entertaining in "velvety" snow and we left our tracks on each of the runs. I lost count, but we skied each ski line not less than 2 times with a total of 7-8 runs. Of course we skied agin Surprise and Eagle on our way back to the hut. Eagle is the 1st ski run staring from the bottom, Surprise is next, with Buck Park ski runs to the middle right. 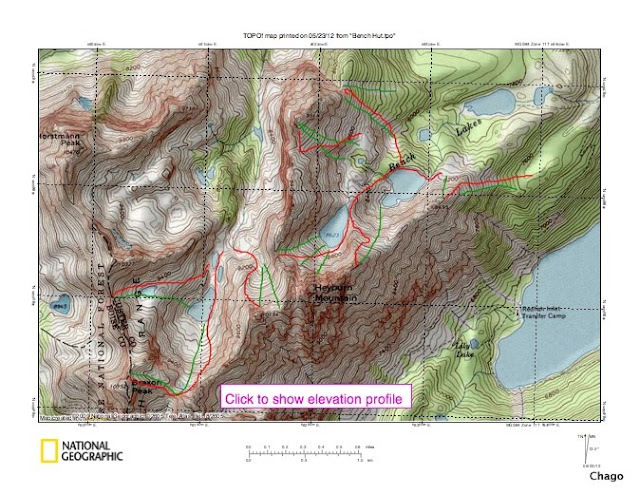 Included below the topo map with named runs for Bench Hut. This will allow blog readers to plan their future trips to Bench Hut. Sunday morning we skied Cat Pack and the Triangle. These are good runs for the last day due to their proximity to the Hut, thus allowing to have an early exit and assuring that we skied in fast snow back to the trailhead and the road. Cat Pack (background line dropping to the left) and Triangle ski runs (prominent treed run). The 2011-2012 ski season provided plenty of great skiing with my friends. Ski toured with my wife and sons ... Lourdes owns now a powder whore ski set-up, and Pedro is going Tele! Re-discovered some areas I have not skied for some time at Mores Creek Summit (Rando Ridge).